I am Tory Campbell and I run SHINE special yoga. I started practising yoga in 1997 at the Iyengar Yoga Institute in South London when I was an art student (those are my little yogi drawings on the website). Since then I have experienced a variety of different yoga teachers and styles. I have worked with adults with learning disability and autism since 2008 and continue to work part-time as a coordinator for a training centre for adults with learning disability in Bangor, where I also teach yoga. I completed my 200hr hatha yoga teacher training with the Yoga Therapy and Training Centre in Dublin, and have trained at the wonderful Special Yoga Foundation in London under the guidance of Jyoti Manuel. I have also completed my Teen Yoga Teacher Training with the Teen Yoga Foundation. I maintain my continued professional development with the Special Yoga Foundation. Yoga and mindfulness are an integral part of my life. I truly believe in the therapeutic power of yoga to help bring you back to your centre; physically, mentally and emotionally. 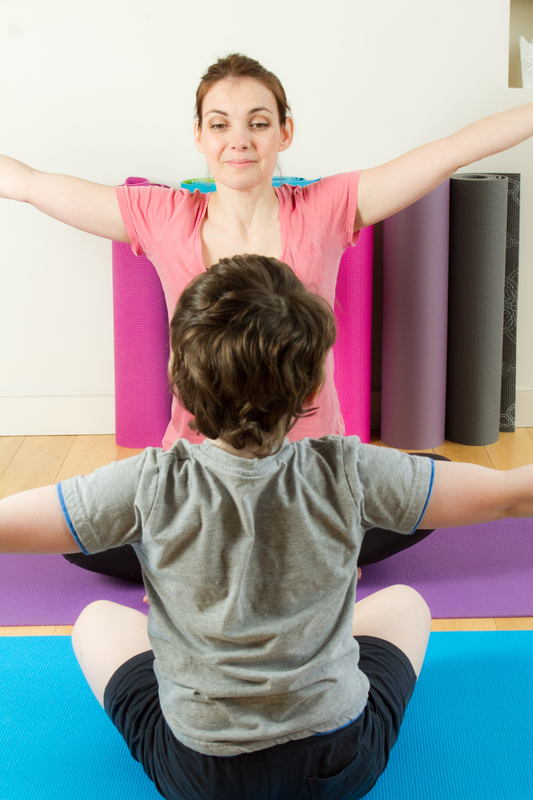 I am passionate about yoga and introducing people with additional needs to its many benefits. It is a privilege to share each person's yoga journey and witness them grow and shine.